Mochaccino, As fresh as it gets! If I stay on Koh Chang you will find me nearly every morning at the Mochaccino Coffee house in Kai Bae Beach. Here you get a world class coffee and other Austrian delicatessens. The friendly and helpful staff team from Mochaccino on Koh Chang in Thailand serve as well fruit salads and other small snacks. 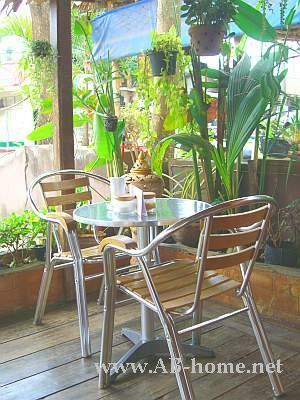 In the evening you can come here for Chang and Singha Beers in a relaxt and familiar atmosphere. 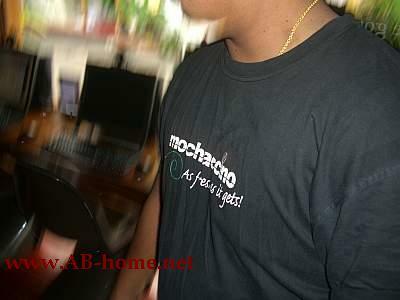 The owner of Mochaccino help always for reservations and give good travel tips around Koh Chang Island. My favorites are the fresh Americano Coffee in the morning, Ice Cappuccino in the afternoon and Beer Chang in the evening. You don’t like Coffee? No Problem, the Coffee House in Kai Bae offer much more: Milk Shakes, fresh fruit shakes, Tea, Wine, ADSL Internet and many many more. Come in and try the taste of real fresh coffee at Kai Bae in Thailand. This Café is one of my top addresses here on Ko Chang Island and in hole Southeast Asia. Try it out and be surprised how good a Coffee can be! Mochaccino in Kai Bae is really a top location for great coffee on Koh Chang! We was there in December 09 and we enjoyed many hot beverages and the beautiful location in Kai Bae Beach. I really can recommend a visit at Mochaccino Koh Chang. The best coffee on Koh Chang!